1) Hillary Clinton isn’t going to be indicted, but that doesn’t mean she won’t be stopped from claiming the nomination. As I’ve said before, an actual indictment doesn’t have to come down to force her out of the picture. All that needs to be out there is proof that she did what would normally be considered a crime and that there are efforts by the President to shield her. That would help Bernie immensely; especially since I foresee health problems for Elizabeth Warren and Joe Biden in the near future. 2) The criminal indictment of Bill de Blasio and others may not happen, which means his assassination is more likely. Many of the people who I’ve predicted assassinations for either had attempts on their lives or stepped down due to political scandal. If those means of removal aren’t available, then those of a violent nature are inevitable. Considering how much scorn the mayor and others of his corrupt nature are under, they’d probably prefer the bullet anyway. At least they’d have a better legacy after having died from this way. 3) Finally, this is the beginning of what I have foreseen as US district attorney Preet Bharara’s downfall. This case has immediate implications for him as his case against Sheldon Silver is likely going to be thrown out on his appeal and the case against Dean Skelos could get weaker as a result. When the politicians he’s gone after accuse him of a witch hunt, coupled with anger from his overly broad “gang raid” in public housing units two months ago, he’s going to fall from his perch and will leave the public spotlight forever. He did a good job exposing the problems of the system, but flawed men are not immune from the power of karma. Mostly, what this shows is that revolution is inevitable. The system won’t fix itself and the people are going to have to fix it themselves. That realization has finally hit across Europe. Hopefully, it will hit the people of the United States of America soon enough. I have some stuff to write about the Brexit referendum another time, but this came up into my head just now and it’s important to share this imminently. This would normally be featured under the Predictions for June post, but I feel this needs to be put in a separate blog. 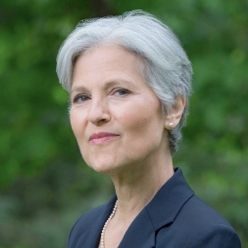 After watching Green party candidate Jill Stein eloquently make her arguments on corporate CNN this week, I felt an odd feeling of positivity towards her. Then tonight, I had a horrible vision of Donald Trump having a crown taken off of his head and Jill Stein elevated to the electoral victor instead. While the Green party candidate has very strong policies, her lack of experience would make her a horrible commander in chief. Unfortunately, that may be what the devil feels will bring about the most death, destruction and ruin to the United States as he sees fit. A plot is being worked into the underworld to salvage the Whore of Bablyon persona without having to have Hillary Clinton as the contender. If Jill Stein makes it into the polls (as Trump might insist to counter the rise of Libertarian candidate Gary Johnson), then she could do impressively enough in the presidential debate to win in November. An assassination follows and the whole country goes up into flames as a result. This would produce mass horrors unlike any we’ve ever seen before, but makes the US an independent nation once more. I could be wrong on this latest assessment, but I was drawn to say it. Regardless of what happens, watch for her rise in the near future. She’ll have more of an impact on this election as “The Other Woman” than anyone will ever suspect. 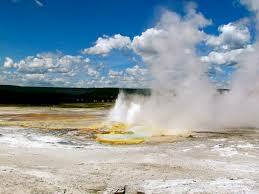 In my vision today, I saw hundreds of cracks in the surface of the Earth with sulphur and smoke flowing from the cracks. There is a dam nearby and a two-lane road that runs through this rural area. I did not see any trees in this area and it appeared to be an arid, open land space and a partly cloudy day. There are many people evacuating this area in search of a safe place. Please be prepared and stay safe. As I have previously forewarned, while Hillary Clinton is the presumptive Democratic nominee, the scandal over her emails threatens to derail her before she gets to the nominating committee in July. 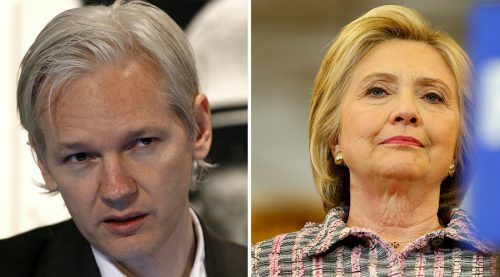 With this recent news of Wikileaks founder Julian Assange threatening to release evidence that would lead to her indictment in normal circumstances, the attempts by the White House and the Department of Justice to shield her from accountability will fail on account of the bravery of whistleblowers. I hope Assange does this in the next month and not after that. Waiting too long will blunt its effectiveness and make derailing her this way nearly impossible. If, however, the evidence hits the press in time, then her candidacy would be doomed and the revolution against imperialism and the corporate elite would begin at that time. Pray for his success. 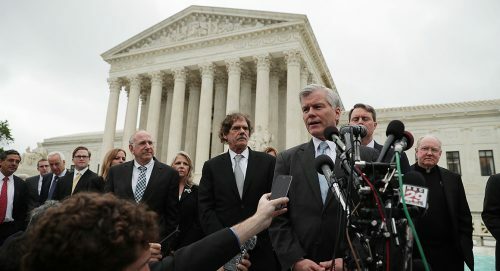 The moment of freedom for all Americans may finally be here. 6/12 Note: Several updates are below in regards to the Orlando shooting last night. Please read them. For over a year, I have warned of the danger that Selena Gomez faces in the form of an untimely murder. Stemming from the base 7 timeline and name similarity to the late singer Selena, her age and birth place also pointed to an alarming likelihood of being murdered by the powers that be. Selena may have avoided this danger, however, as a singer from “The Voice,” Christina Grimmie, was shot and killed outside of a concert venue in Orlando, Florida last night. This might be who ended up succumbing to the Selena curse as double murders are highly unlikely with regards to base 7 theory. However, it may still serve as a warning for Selena Gomez to watch for her safety this month if she doesn’t want to succumb to the same fate. Hope that I’m right. 6/11 Update: After doing some research, I have learned that Selena Gomez and Christina Grimmie were friends before her death, Grimmie was managed by Selena Gomez’s step-father, Brian Teefey and Selena was performing at a concert less than 3 miles away from where the murder took place. All of this is a validation of the warnings I have made for Selena for over a year. Likely this means that Selena is safe for this year as the curse was passed on to an associate and friend of hers instead. However, just to be on the safe side, she should watch out for her safety for the remainder of the year and remember that this vector will repeat itself again for her in 2023. RIP Christina. 6/12 Update: Not even a day after the murder of Christina Grimmie, a man potentially affiliated with ISIS shot and killed fifty gay men in what is being described as the worst mass shooting in US history. The shooting took place mere minutes from where the murder of Grimmie occurred and only two hours away from where Selena Gomez was performing last night in a teary performance in dedication to her late friend. Many base 7 updates are flaring up at this time; exacerbated by what I believe is an Illuminati death curse that was unleashed whose target was intended to be Selena Gomez. The severity of the shooting at the Pulse night club raises the alarms that Selena Gomez may not be in the clearing after all. Selena Gomez will be performing in Texas from Wednesday to Friday of this week; stopping in Houston, Austin and Dallas along the way. Selena is in big trouble unless she cancels these tour dates immediately. The late singer Selena, the one whose namesake is the same as Gomez’s, was murdered in Corpus Christie, Texas 21 years ago in a similar manner to Christina Grimmie’s. Gomez’s death may yet occur this month unless a change of action is taken within the course of the next 48 hours. I’m hoping these blogs will get to her people in time before the Illuminati’s ultimate target is taken out in the process. In addition, I had written in my private 2015 blog that there would be danger for the gay community after the marriage equality ruling that year. Less than a year after that landmark Supreme Court decision, not only does this tragedy happen, but one was thwarted for the LA gay pride today just hours ago. More danger will be in store for the remainder of the month, so all gay men and women should be on alert as the month progresses. This may also be the time period to which the fulfillment of the controversial Youtube’s star death takes place during a Prince tribute costume party (a bad omen that this person is playing into). There’s also the real chance of a murder for drag queen RuPaul and the assassination attempt mentioned for Hillary Clinton (with RFK similarities). I hope that more death can be prevented and pray for peace. 6/16 Update: Two more stories in the news should raise some major alarm bells that Selena Gomez is not out of the woods for her safety yet. The first was another mass shooting in Armarillo, Texas northwest of Dallas. The second was the boy dragged into the water by the alligator at Disney World. While I will write about the latest attempts at gun confiscation another time, these two incidents show that Selena Gomez is in real danger of being murdered sometime between Friday and Saturday night during her trip from Austin to Dallas and then leaving the state to her performance in Tulsa, Oklahoma. The singer Selena died on March 31st, 1995 which fell on a Friday night. That’s when Selena Gomez will be in the most danger and why she should have cancelled these concerts before it was too late to do so. Pray for her safety. The next 72 hours will be crucial for potentially her whole entire life. Today is our second anniversary. We really appreciate your continued readership and the comments you have provided. I’m happy that I have been able to continue blogging here and hope to do so for as long as I can. Our writer Fefe is holding up. I have been in communication with her and she has been having a very difficult time writing in recent days. Bad spiritual energy has gotten to her (possibly emanating from our troll who attacks our website on an obsessive and frequent basis) and I hope you will all pray that she can find the strength to write again in the near future. In our correspondence, she relayed that she wants you all to know the following thoughts she has had over the last several days. “Overthrow, civil war starting, economic collapse. I am fearing my original fear prediction that they will pompously install Hillary will come to pass. Then it’s revolt, secession n war. I’m reading and listening to people who think the big economic collapse started n will be apparent end of year. Then, also food shortages, soaring food prices. I’m afraid Russia will hit the US. Plus, US false flag terror, more false flags leading up to all our war. Interestingly I recently learned this is how Titor described it. I have some bumper stickers on my car. One says “Texas Secession” and one has the Texas come n take it flag n ones says in Texas we don’t call 911 n has guns. I’ve had these over a year. Now, everyday some stranger comes up to me n says “I love your number stickers, mam, I totally agree.” Something has changed here. It’s weird. It’s all accelerating, don’t u think? People r saying the real estate market is going belly up by the end of the year. Even Obama recently (so weird) told the American people to get prepared. Natural disasters increasing: something weird going on with fault lines n volcanos/earth quakes. FEMA prepping for the big one just this week! I saw the Ammeeigeddon movie. I’d totally not be surprised in the least if there’s an EMP or power outage between now and Jan that lasts anywhere from two weeks to months or years. Titor said that the olympics get cancelled just before the war gets bad. An indicator? Zika ? I think Trump will win the popular vote but they will install Hillary n hell will break loose. Well, if they do this as s last ditch effort for the NWO it will be the end of them just as Titor said. He said, the last president before the war (he or she) is just trying to maintain their power and America falls into a tyranny. He says the Russians send nukes, three at a time, to take out the NWO. He says they strike military bases n major cities in their capital buildings. I just wonder when they will lose it n bomb us. I fear Texas is under weather weapons. This so called 100 year flood has parts of the city n nearby being evacuated daily, until now. They keep saying some damns might break n create a worse than Katrina event. I’m in one of the few high grounds in Houston. You r not seeing the insanity here regarding weather n flooding. If a hurricane strikes this year it’s going to be a huge disaster. You’ll see photos worse than Katrina. Just know if u see these I’m without power but ok. I’m not in some rescue boat lol. I’m still convinced now that the transhumanism movement is inspired by demons so they can move one step further than possession n into actual biological android bodies n become god like in the flesh in this dimension. Not that the technology is “bad” just that certain entities have implications n uses in mind humans have not considered. They want Hillary, the satanist queen to lead them to the green pastures. Trump might be a poop but he’s not a full blown satanist creeper like Hillary. He won’t help the demons cause like Hillary will. I think the deal here is she helps them transdemon and they give her a certain power, she thinks forever, but it is just for a time being because they r liars. They want to kill all the humans except slaves because the “separate species” so called transhumanism is actually pure transdemon. The consciousness to be mapped is demon. The bodies r part human, part other animals and part bionic/computer. They will upload their demon consciousness n live forever in these created bodies. They think they d like God because they will become like god n have God like abilities plus they created this technology n plan. I felt it was important for you all to see this. Hopefully she will find the strength to post again soon and share further updates. May we fight for a better future. Best wishes to you all as always. So far I only have one prediction from a dream, but others will come in the near future. 1) I had a dream with a Behind the Music documentary of Mariah Carey and an accompanying obituary. I have long warned of a premature death for Mariah Carey and it could be coming very soon. Pray I’m wrong, but I have a feeling that I’m not. 6/7 ETA: One more dream and a note to share about a previous blog. 2) I’ve blogged about this already, but I had another dream about the riots that will take place in Philadelphia. I see a shooting occurring during the convention inside the arena, burned buildings in many parts of the world and deaths outside the streets of the venue. 900 people may die on that night, along with 11,000 reported injuries. Clashes with police will follow as well. It will likely be the catalyst that sends Donald Trump to the White House if Bernie Sanders can’t stop her in time. I really hoped this wouldn’t happen, but it’s becoming an inevitability everyday. 3) This isn’t really a prediction as more of a confirmation for when I said we weren’t done with the big deaths this year. We saw the death of Muhammed Ali just last week. I may have sensed his death with this dream I had many months ago, but I was convinced for a while that it was a warning to boxer Ronda Rousey who was on suicide watch at the time. There was also the death of another boxer recently, but all of these events could pertain to those visions or could be the warning for another athlete to heed. In addition, on the same day that there was another shooter at the White House (something I have foreseen before), there was an arrest for an intruder at the Queen’s property in Buckingham House. Both the President and the Queen were at risk of death and still are this year. Either death would have sparked worldwide shock, but both on the same day would have been unprecedented in modern times. Both of these people could still see the graveyard, along with Rupert Murdoch and others I have mentioned previously. That will be the ultimate fulfillment of my prediction. 6/12 ETA: One more dream prediction to share. 4) I had a dream that Leonardo Dicaprio won his second Oscar in a row in a close call race with Matt Damon. There was also an African American actor in the Best Actor lineup and this will appease much of the community after being snubbed two years in a row. While this will temporarily cool tensions, the demise of the Academy Awards overall is still imminent. 6/16 ETA: One more prediction. 5) A lot of bad press has been following ABC/Disney recently (you can read up on those yourselves). I have a very bed feeling that there’s going to be a major scandal ripped out about their organization that will be released by a disgruntled actor who they cut unceremoniously. The damage will cost this man his career, but he will have made a major difference in destroying evil within their ranks and setting a course collision between the Hollywood closet system and the gay community to whom they falsely support. 6/28 ETA: A few more predictions to close out the month of June. 6) I had a dream that actor Paul Rudd would become involved in politics, perhaps running for public office in the near future. I was a campaign event of his in a dream. He was very successful, which should spell well for the people of his district. 7) I had a dream of a sea turtle occupying someone’s pool. I believe this will be a news event later this summer. 8) Finally, there’s going to be a significant amount of social unrest in San Francisco in the near future. I believe this has to do with housing or policing. It will be very violent and could spill over to other parts of the country as well.